Its the 1st of March, so the showroom is now open until 5pm Monday to Friday! Still 9-1230 Saturdays, so get yourself down to see us and marvel in our wonderful stone and tile collection! You will not find a showroom like it anywhere in the UK, or get better prices! 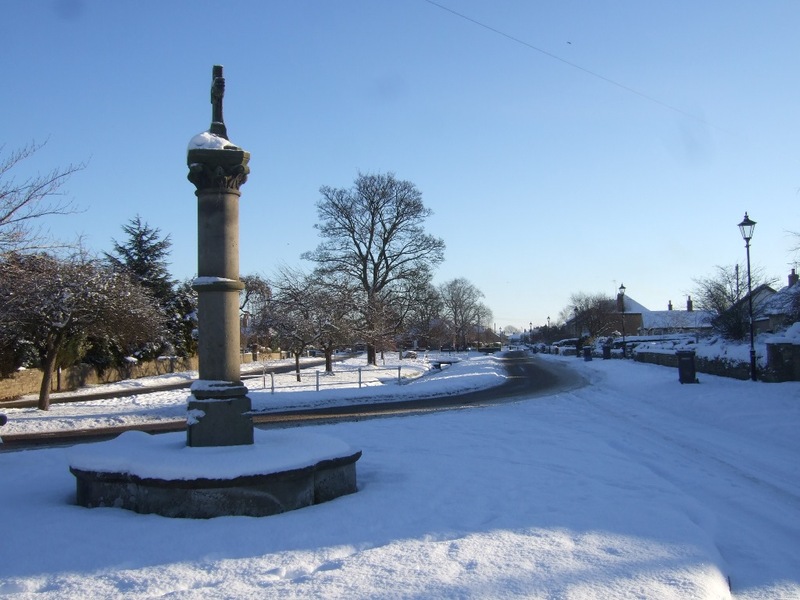 We hope you all had a wonderful Christmas and enjoyed all the food and drink with family and friends! Its January now, so lets get back into the swing of things! 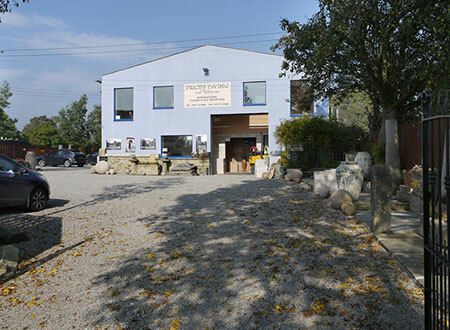 Our showroom is open Monday-Friday 9am – 4pm, and Saturday mornings 9am-1230pm. We hope to see you soon! YOU SAW THEM HERE FIRST! We have now added Bullnosed Steps and Risers to our incredibly popular range of 600x900mm Porcelain flags. Ursula, Jasmine, Belle and Elsa have steps to match so you can complete your garden without the hassle, stunning! 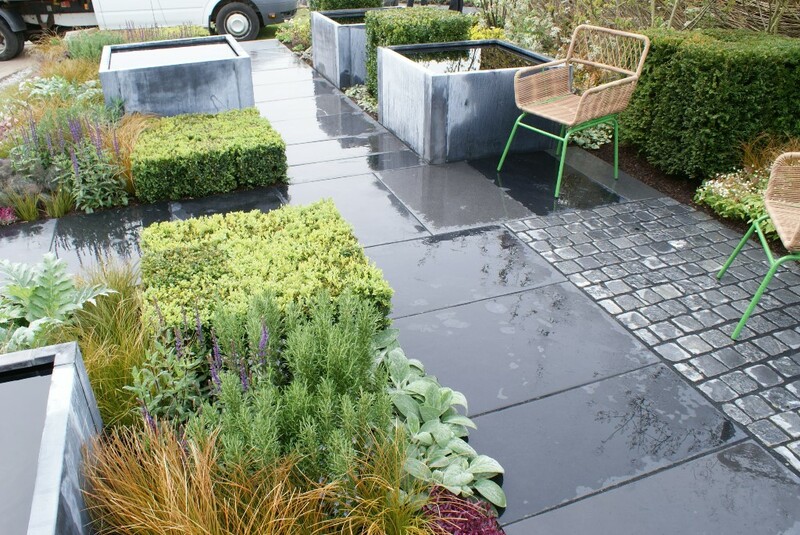 The risers are extremely useful, not only for finishing your steps, but as coping and also borders to edge off your patio. More information on our steps/risers Please visit our showroom today to truly appreciate the quality and the colours! Our crazy sale has continued with new lines added and further discounts applied. For even more choice, job lots and end of line bargains please do make the trip to our showroom. Open Monday -Friday 9am -4pm, and Saturday mornings until 1230pm. 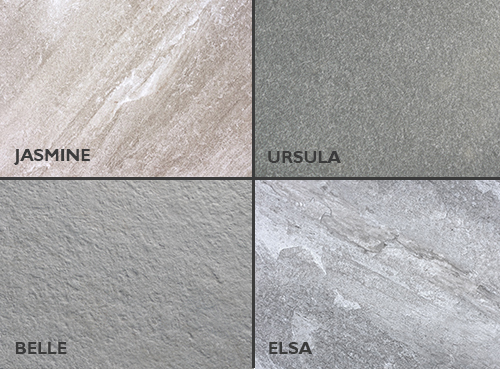 We are happy to announce we have increased our section of Full bodied, 20mm vitrified porcelain paving to 10 colours! Greys, browns, creams, light, dark something for everyone! 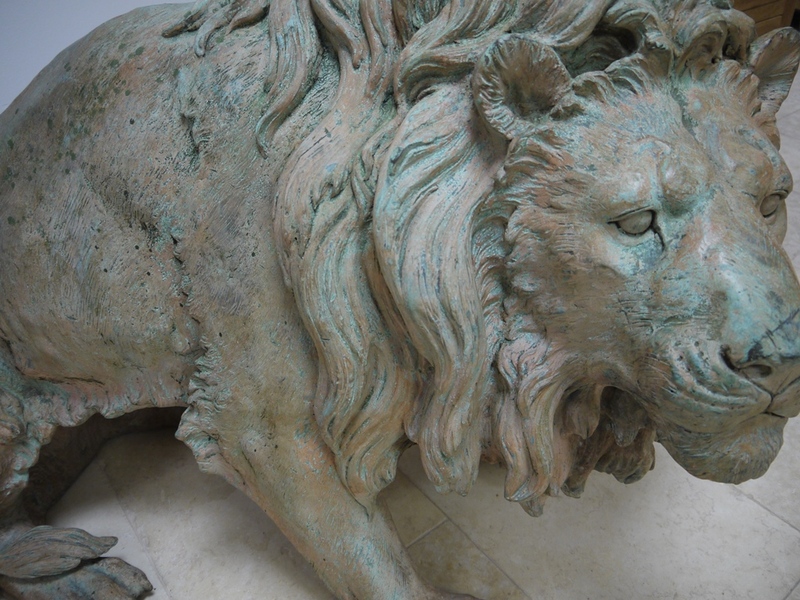 Check out our new products online or make a visit to our huge showroom near Bedale. You will not be disappointed at the quality or the price! 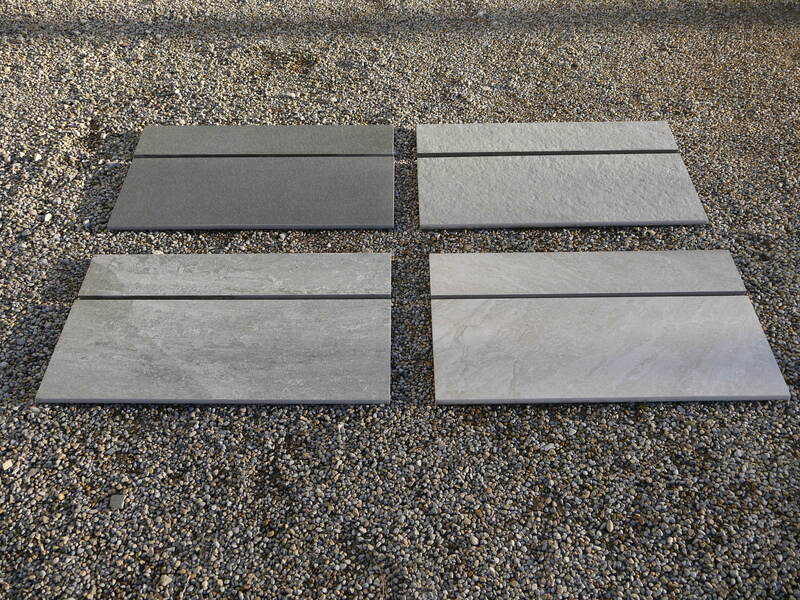 NEW PAVING RANGE IN STOCK!!! 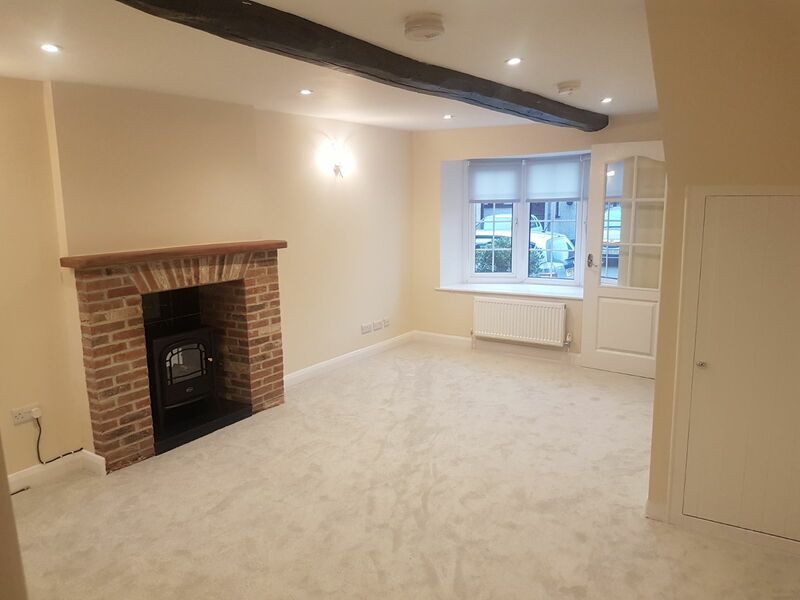 We have a beautifully refurbished 2 bedroom semi detached house available for let in Snape Village. Please click our link for more details. 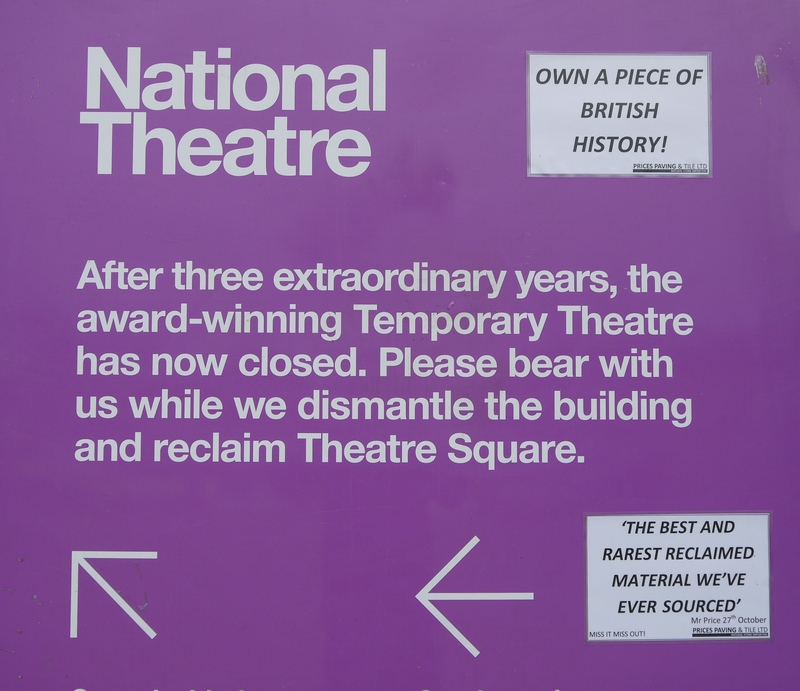 We are pleased to announce we have acquired hundreds of m2 of Becalmed Granite paving, taken directly from the Temporary National Theatre in London! You have to see it with your own eyes to fully appreciate its beauty. In stock now! We have been busy over the last few weeks securing lots of materials for your every need: Reclaimed block paving in red and black. Reclaimed Granite paving. New sawn 6 sides Yorkstone. Hand finished New Yorkstone for a more rustic look…. Please visit our showroom to see these products in the flesh! 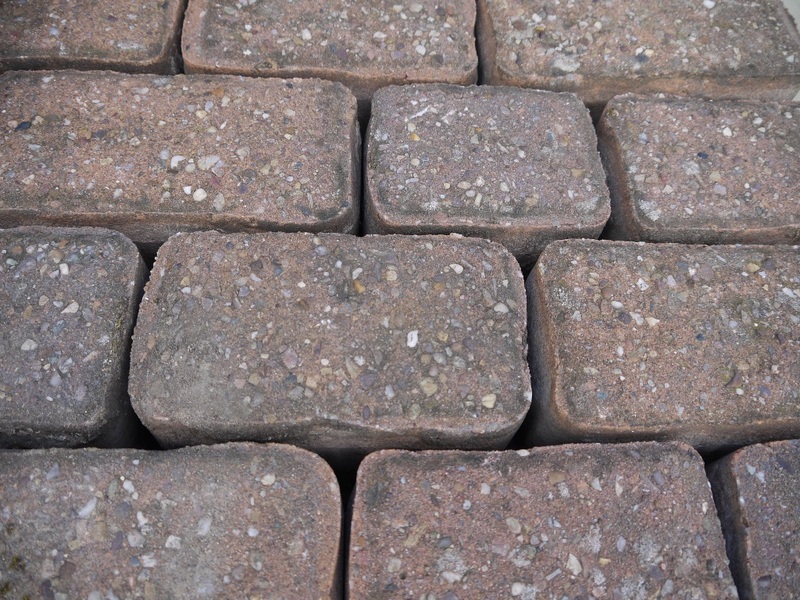 We are about to bring into stock over 7000m2 of Reclaimed Tegula Setts at an incredible 80mm depth. Perfect for any driveway or garden patio / path. More information and photos to arrive ion this site as soon as we have them! 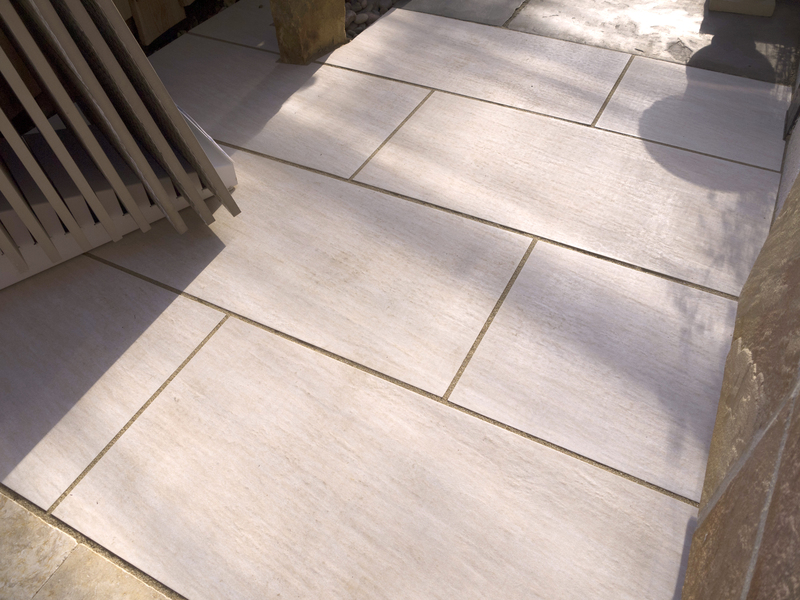 BRAND NEW SAWN YORKSTONE IN STOCK NOW! We are now stocking 6 sided sawn, 50mm calibrated Yorkstone Paving! Available in 600mm width by random lengths. We have samples to view at our showroom and stock in our Snape depot ready to go! 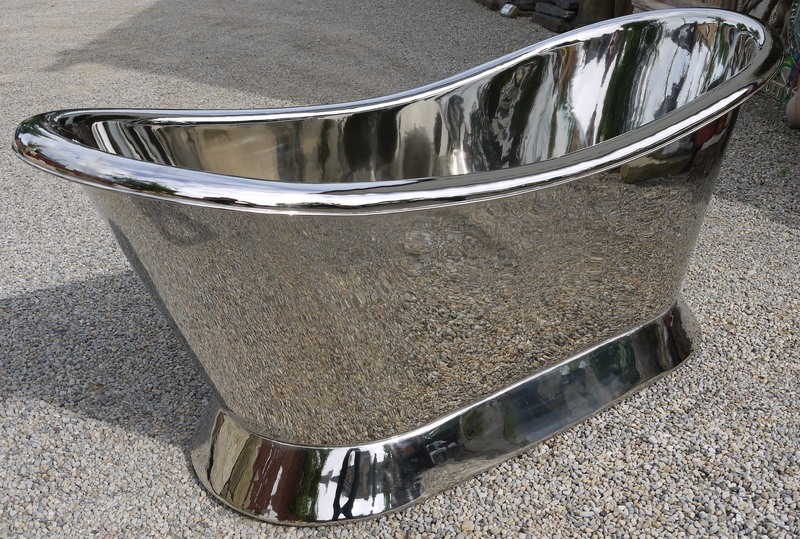 As our bath sales go from strength to strength! We have decided to increase our range by adding a number of new styles and options to our collection. More information and photos to follow…watch this space! Your wonderful comments are very much appreciated Oliver. Another very satisfied customer! 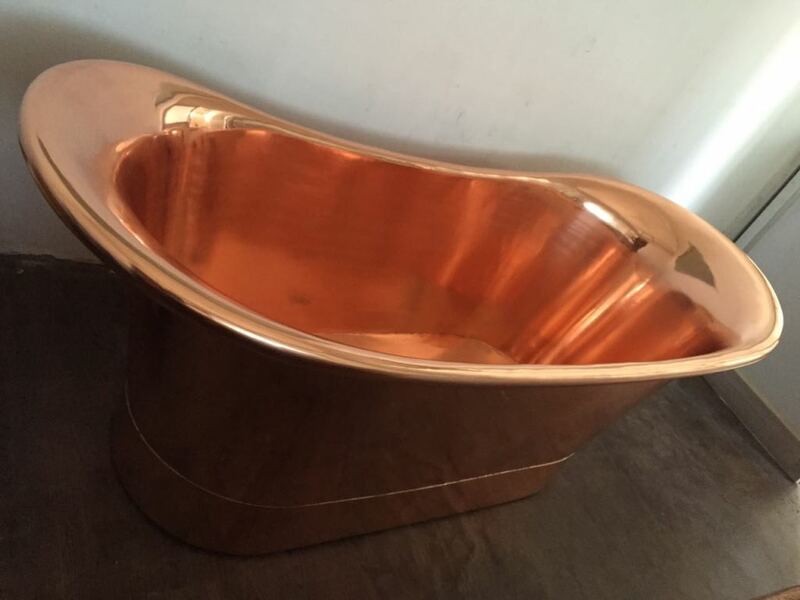 We stock several colours of copper and nickel plated bath tubs, so come on down to the showroom and ask for a deal from Mike! We will be closed on Bank Holiday Monday 1st May, but we will be open as per usual on Saturday 29th April, from 9am-1230pm at the showroom! 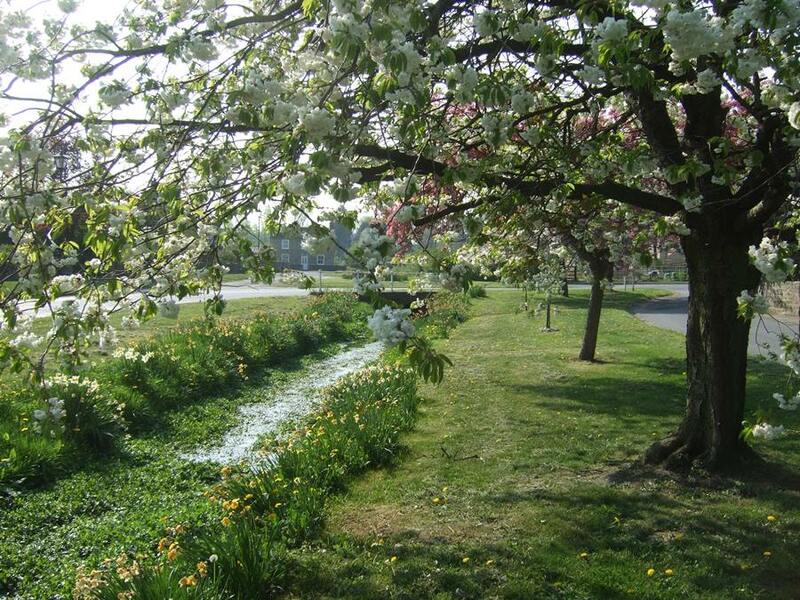 ‘COLOUR YOUR GARDEN’ wins GOLD! We will be closed on Good Friday, Easter Sunday and Bank Holiday Monday, but we will be open as per usual on Saturday 15th April, from 9am-1230pm at the showroom! Happy Easter everyone from us all here at Prices Paving & Tile! HAVE NO FEAR THE BATHS ARE HERE!